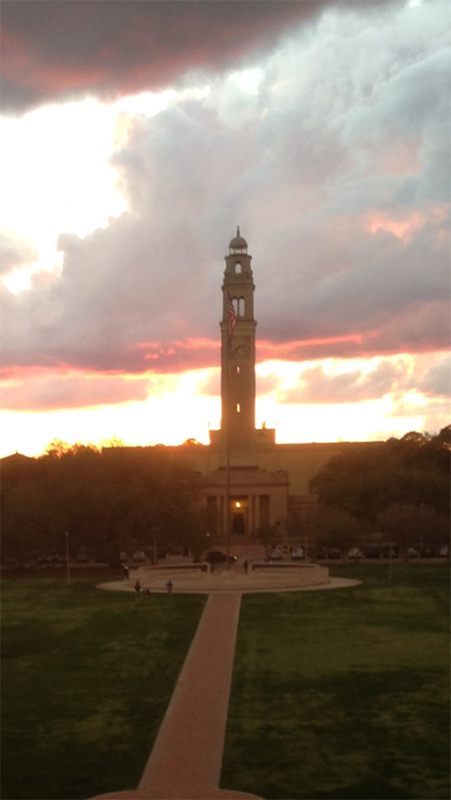 Louisiana State University is located in historic Baton Rouge, along the banks of the Mississippi River. It is the largest university in the state, with about 30,000 students. Baton Rouge is the capital of Louisiana and home to the state government. It is the second largest city in Louisiana, just one hour and a half away from New Orleans. The Baton Rouge Metro Airport is just two flights away from most major cities in the world. Additionally, full-time LSU students have access to the University Recreation Center (UREC), which is 250,000 sq. foot innovative and comprehensive recreational facility. UREC provides a modern and energetic atmosphere conducive to the needs of LSU students, featuring cardio and strength equipment, fitness studios, and pools (indoor and outdoor). LSU itself has a robust sports program and has won national championships in several sports. 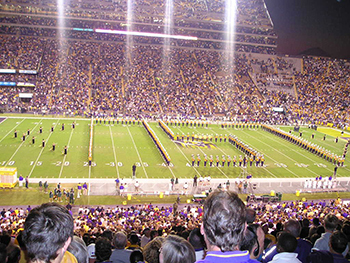 Most law students have the opportunity to attend a football game in Tiger Stadium, along with nearly 100,000 cheering fans. It is an experience that defies description and shouldn’t be missed! LSU also has a culturally vibrant campus. For example, the College of Music has several performances each week, often featuring special performers. The College of Dramatic Arts also stages multiple productions each year, and the LSU Union Theater hosts nationally touring productions (musicians, plays, and comedians, etc.). National and international speakers, hosted by various colleges, make presentations, give book readings, and have discussion sessions that are open to all students. LSU is home to more than 1,000 international students from all over the globe, and throughout the academic year the International Cultural Center hosts a variety of activities and festivals, allowing international students to share their culture with the LSU community. LSU Law has a Career Services office on site, staffed by dedicated career counselors. Counselors are available to meet with students on a one-on-one basis to discuss your area of interest and career goals. The Career Services Office sponsors a wide variety of career-related programs throughout the school year. These programs are designed to promote early student self-assessment, pique students’ interest in specialized areas of legal practice, and encourage students to think about job opportunities as they develop a post-graduation employment plan. Six out of seven Louisiana Supreme Court Justices are LSU Law graduates. LSU Law typically has the highest bar passage rate in the state of Louisiana (Bar Passage Rate). 93% of graduates from the class of 2017 were employed within ten months of graduation (Employment & Salary Statistics – 2017).